It’s April 1991. 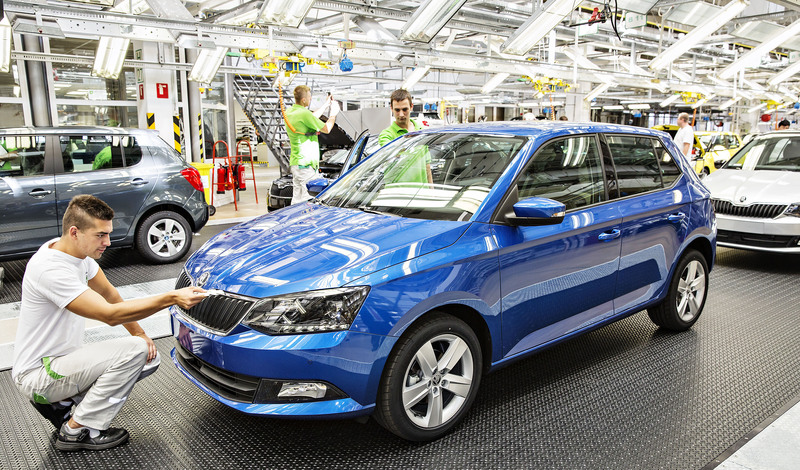 Joyride by Roxette dominates the music charts, Mikhail Gorbachev is the Soviet president, and ŠKODA is beginning its journey as part of Volkswagen Group. 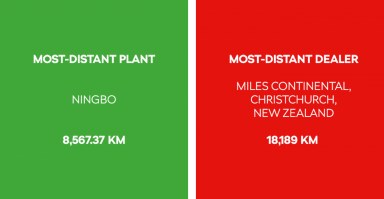 By June 2017, this cooperation will have resulted in 15,000,000 vehicles. 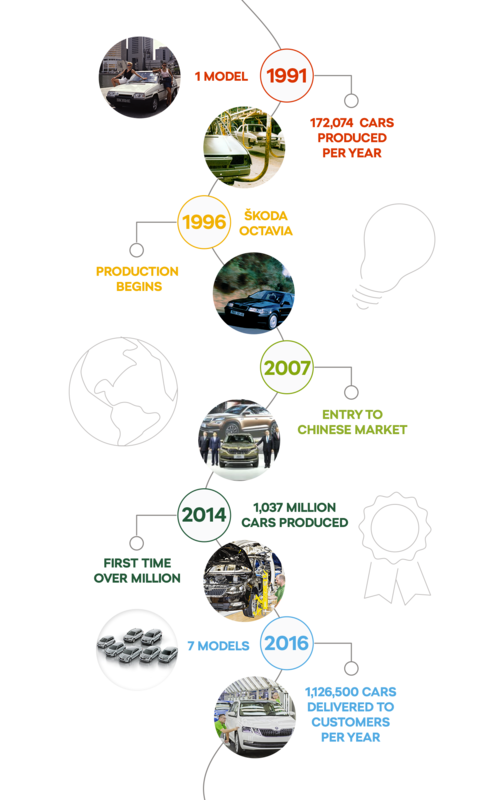 In 1991, ŠKODA was producing the models FAVORIT and the extended version of FORMAN, delivering 172,000 cars to the market per year. 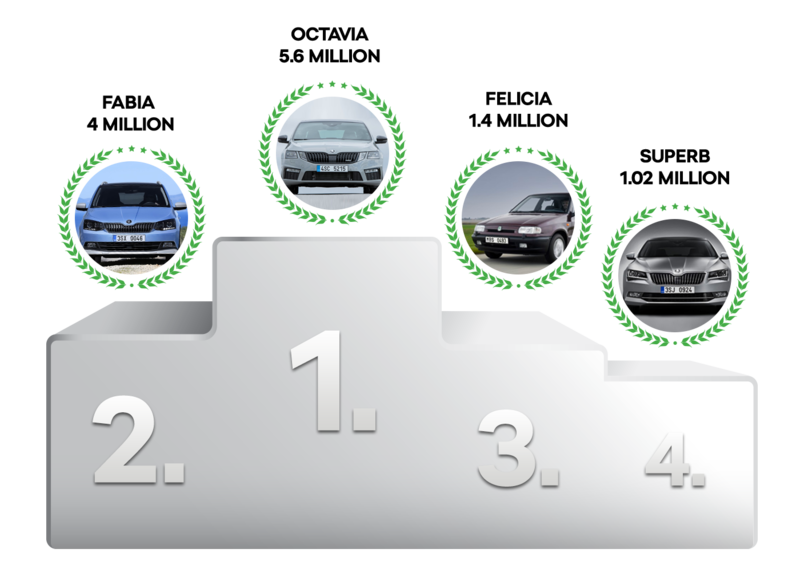 Today, 26 years after joining VW, seven model lines bear the ŠKODA brand in a total of 40 variants. The models FAVORIT and the extended version of FORMAN were soon replaced by FELICIA. Just short of 1.5 million FELICIA cars rolled off the production lines. In 1996, OCTAVIA was introduced as the first vehicle the development of which began after the union with Volkswagen. This car became a bestseller, and the number of cars produced is approaching six million. 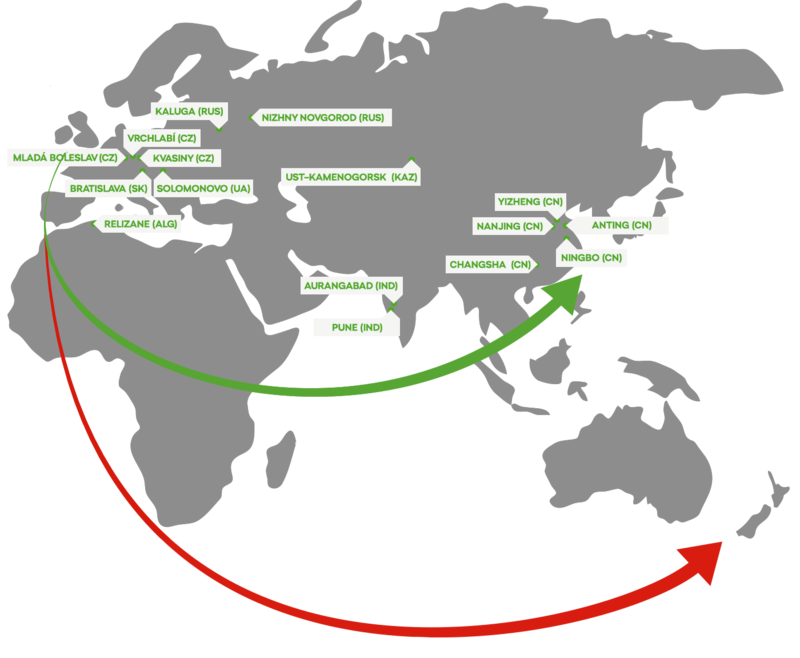 15 million cars could form a line 66,200 km in length, which is 1.65 times the circumference of the Earth. 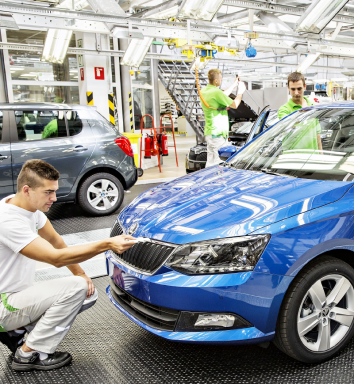 Today, ŠKODA is making cars at 16 plants all over the world. Vehicles bearing the winged arrow logo are represented on about 100 markets. In 2016, the company delivered 1.1 million cars to its customers.